Lisa A. Weiss, LMSW, CHC, CHPC joined Federation of Organizations in 2003. She currently holds the position of Corporate Compliance Officer and Director of Quality Management since 2007. Within her role, she is responsible to implement and maintain all legislative and regulatory compliance activities for the Agency, including the Agency’s Compliance Program, HIPAA Program, Monitoring and Auditing Program, and employee Training and Education Program. Further, she oversees quality management standards to ensure quality care to consumers, compliance with licensure and contractual obligations, and the Agency’s standards, policies, and procedures. Prior to 2007, beginning in 2003, Ms. Weiss oversaw the Agency’s Suffolk Blended Case Management Program. Ms. Weiss holds a MSW from Columbia University School of Social work, with a specialty in clinical work and research methodology. She is registered to practice in NYS as a Licensed Master Social Worker (LMSW) since 2002. In addition, she is certified in Healthcare Compliance (CHC) and Healthcare Privacy Compliance (CHPC) via the Healthcare Compliance Association (HCCA). 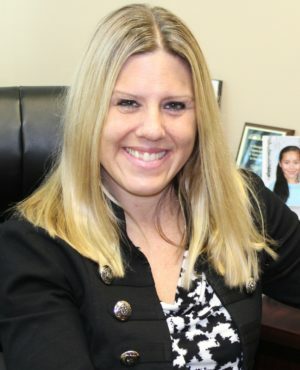 Ms. Weiss is a member of the Healthcare Compliance Association (HCCA), the Association of Certified Fraud Examiners (ACFE), and the National Association of Social Workers (NASW).